Propaganda and media accounts associated with the Islamic State of Iraq and Levant (ISIL or ISIS) are now being hosted by a Russian social media platform after the terror group was thrown off U.S. sites such as Twitter, according to a new intelligence report. At least 18 official ISIL accounts responsible for disseminating the group’s violent propaganda, including two videos of Americans being beheaded, are currently being hosted by the VK website, Russia’s largest social network, according to an intelligence brief released by the SITE Intelligence Group. VK, which resembles Facebook, has upwards of 250 million subscribers and is known for hosting the social media site of Dzhokhar Tsarnaev, who, along with his brother Tamerlan, executed the April 2013 bombing of the Boston Marathon. The relocation of ISIL’s official accounts to Russia highlights the challenge governments face in combatting the media-savvy terror group’s online presence. It also raises questions about the Russian government’s ability to stem the growing radicalization among its Muslim population, which has risen exponentially, experts say. VK has served as the "primary location" for ISIL and its affiliates to disseminate propaganda and various announcements, according to SITE. ISIL planned to release the video of its followers beheading American journalist Steven Sotloff on VK, the intelligence group said in its report. ISIL’s leading disseminators of terrorist propaganda are said to have been operating on VK since at least August, according to SITE. 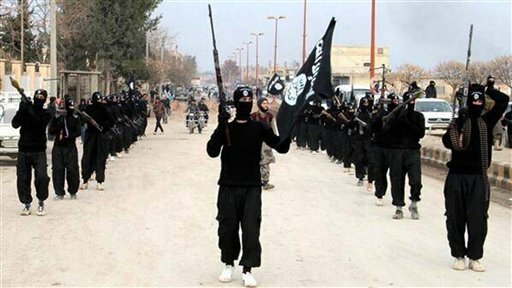 At least 15 of the 18 accounts officially represent ISIL’s local branches, such as those in Damascus and throughout Iraq, the brief said. The ISIL accounts on VK behave similarly to those recently hosted on Twitter, which has cracked down on users associated with the group in recent weeks. The ISIL accounts publish "promotional videos, magazines, and other material," according to SITE. Regional experts said that while the Russian officials may not be formally behind the movement of these ISIL accounts, it is likely some are turning a blind eye due to the terror group’s rabid anti-Americanism. "What I think is happening here is that it’s not an official policy [by Russia], but there are folks [in the government] who are generally anti-Western giving these guys some tactical" assistance, said Ilan Berman, a CIA and Pentagon consultant who serves as vice president of the American Foreign Policy Council (AFPC). "I wouldn't completely rule out a Kremlin connection, but I don't think this is a strategy for [Russian President Vladimir] Putin and his guys," Berman said. Others said it is likely that VK will remove the ISIL accounts if it comes under pressure to do so. "It is inconceivable that a Russian hosting service would knowingly host ISIL, which declared that they would conquer Chechnya and the Caucasus. It must be an oversight," said Ariel Cohen, director of the Center for Energy, Natural Resources, and Geopolitics at the Institute for Analysis of Global Security. "There are many Chechens and other Islamists from Russia who fight in the ranks of ISIL, hundreds of them. A Chechen is also a senior commander in the organization." "However, if after being warned, they still host the web pages, it requires a serious intervention on behalf of the Russian government and possibly other governments as well," Cohen said. ISIL’s appeal to those in Russia and its neighboring countries also is an issue of concern for experts such as Berman. "Russia has a huge radical Islam problem," said Berman, explaining that Muslims now make up 16 percent of the Russian population overall. By the end of the decade, Berman said, one in five Russians will identify as a Muslim. The concern is that Russia is doing little to combat radicalization among this population. "The fastest-growing sectarian minority in Russia is also the one being radicalized," Berman said. "You're going to get a sizable minority of the radicalized Muslims in Russia that will be at least intrigued by ISIL." This entry was posted in National Security and tagged Iraq, Islamic State, Russia, Syria, Vladimir Putin. Bookmark the permalink.